The list includes names of some of India's leading pharmaceutical companies like Sun Pharma, Dr Reddy's, Glenmark and Aurobindo. At a time when most leading Indian pharmaceutical companies complain about a combination of factors hurting them in the US, including price erosion following increased competition, there is now a new dimension to worry about: A press release issued by the office of the attorney general of the state of Connecticut in the US says, the attorney general led 45 other attorneys general taking part in a wide-ranging multistate antitrust investigation of the generic drug industry in asking the federal court for permission to file a new complaint in the states' pending lawsuit that increases the number of generic drug manufacturer defendants from six to 18 in the case and the number of drugs at issue in the litigation from two to 15. 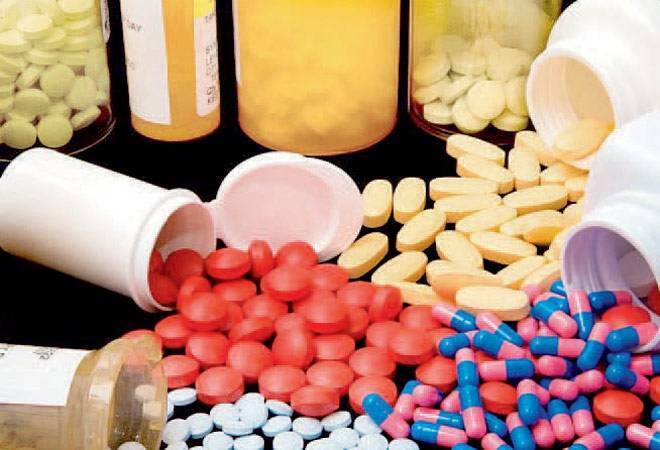 The list includes names of some of India's leading pharmaceutical companies like Sun Pharma, Dr Reddy's, Glenmark and Aurobindo. Here is the component that concerns Indian companies: The note, released on Tuesday, October 31st, says: "Previously, the lawsuit was filed against generic drug manufacturers Heritage Pharmaceuticals, Inc.; Aurobindo Pharma USA, Inc.; Citron Pharma, LLC; Mayne Pharma (USA), Inc.; Mylan Pharmaceuticals, Inc.; and Teva Pharmaceuticals USA, Inc. alleging that they entered into illegal conspiracies in order to unreasonably restrain trade, artificially inflate and manipulate prices and reduce competition in the United States for two drugs: doxycycline hyclate delayed release, an antibiotic, and glyburide, an oral diabetes medication." Then, it goes on to add: "The states are seeking to expand the complaint to include Actavis Holdco U.S., Inc.; Actavis Pharma, Inc.; Ascend Laboratories, LLC; Apotex Corp.; Dr. Reddy's Laboratories, Inc.; Emcure Pharmaceuticals, Ltd.; Glenmark Pharmaceuticals, Inc.; Lannett Company, Inc.; Par Pharmaceutical Companies, Inc.; Sandoz, Inc.; Sun Pharmaceutical Industries,Inc. ; and Zydus Pharmacuticuals (USA), Inc."
It also points out that "for the first time, the states are also suing senior executives at two generic drug companies who are alleged to have engaged in the illegal conduct" and says: "The expanded complaint also names two individual defendants: Rajiv Malik, president and executive director of Mylan N.V., which is the parent company of Mylan Pharmaceuticals, Inc.; and Satish Mehta, the chief executive officer and managing director of Emcure Pharmaceuticals, Ltd., which is the parent company of Heritage Pharmaceuticals, Inc."
But the companies seem to have their own arguments. Mylan for instance, in a press release says: "We have been investigating these allegations thoroughly and have found no evidence of price fixing on the part of Mylan or its employees. Our review of the Connecticut Attorney General's press release underpinning the complaint does not change our views. We have asked the various attorneys general leading this case to share with us what information they believe supports these new allegations and, to date, they have not done so. Mylan has deep faith in the integrity of its President, Rajiv Malik, and stands behind him fully. Mylan and Rajiv Malik both intend to defend this case vigorously, and we look forward to the opportunity to present a full defense." While some of the companies, Business Today reached out, did not wish to comment, all those named will need to investigate as to why they figure in the list. In fact, one of them said, it was not a new development and was an old issue that companies have been trying to resolve. But then, if there are serious lapses then, there may be fine that may get imposed. However, if there are some, who do not see any fault from their side then, they need to review why their names figures and how the internal and external communication systems need to be redesigned to match their stated code of business ethics. For the moment, it is an added concern that they need to address.